“I greet in a special way the large group from the International Association of the Faithful of Pontifical Right, Heralds of the Gospel. 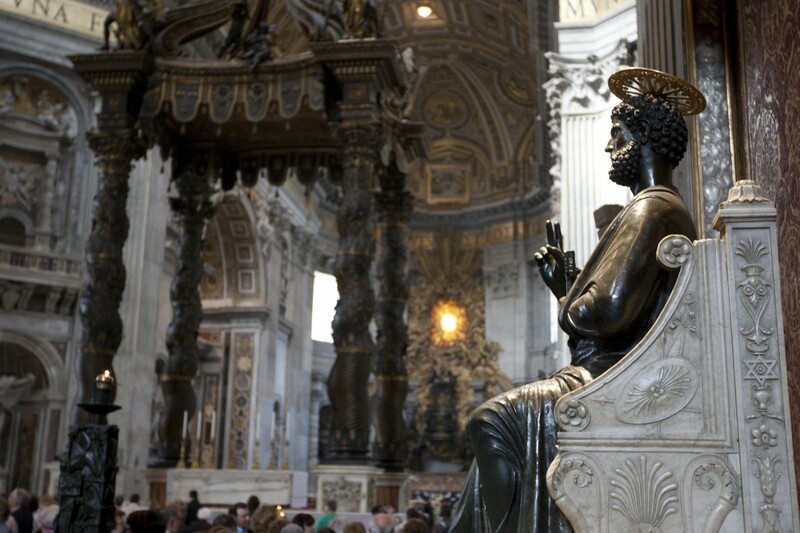 By being faithful to the Church and to its Magisterium, may you remain united to your pastors and courageously proclaim Our Lord Jesus Christ throughout the world. “Be messengers of the Gospel through the intercession of the Immaculate Heart of Mary. “I give you my apostolic blessing. At the end of the public audience, Saint John Paul II received greetings from the General President and the Head Representative in Rome of the recently approved Association of Pontifical Right, João Scognamiglio Clá Dias and José Francisco Hernández Medina respectively. 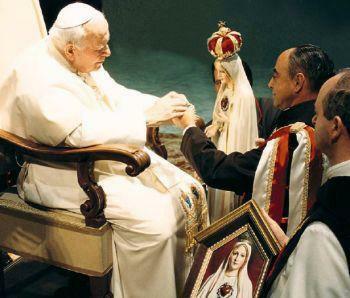 Immediately afterwards,Saint John Paul II crowned the beautiful statue of the Immaculate Heart of Mary and blessed the shrine that has been used in pilgrimages to homes throughout the world.